Home > RC Toy Drone > JJRC > JJRC H50WH 4-Axis RC Drone Quadcopter UAV Altitude Hold headless mode 720P WIFI FPV Camera Real-time Transmission? Product Name JJRC H50WH 4-Axis RC Drone Quadcopter UAV Altitude Hold headless mode 720P WIFI FPV Camera Real-time Transmission? 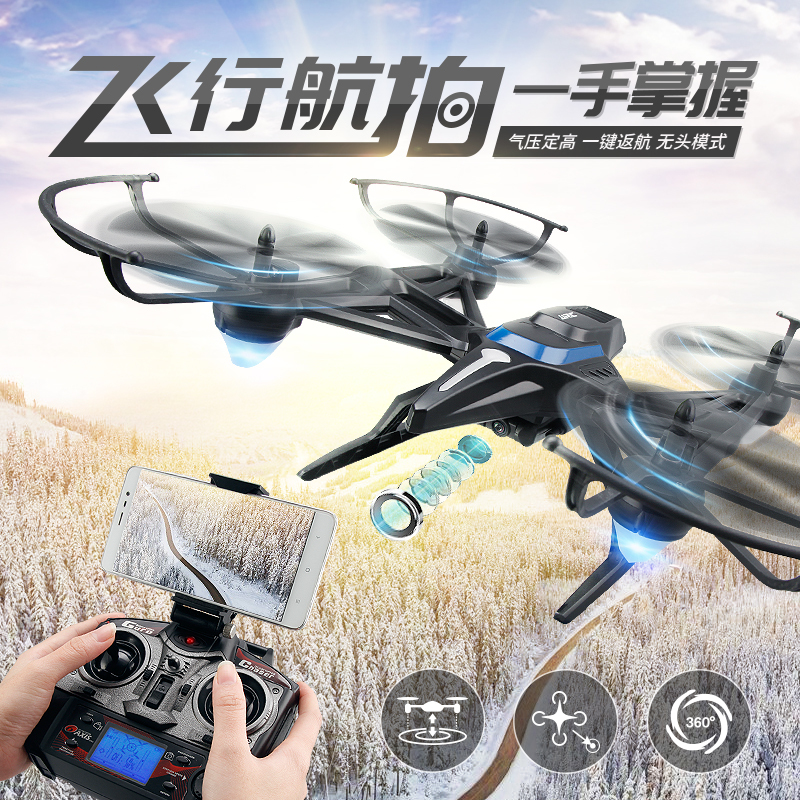 •7.4 V , flight is stable, wind resistance is stronger ,flight time is longer. •Transmitter LED with backlight,displaying capacity of battery ,signal, speed ,throttle ,fine tuning of turning ,in order to make sure players can learn flight data better. •Continuously variable function,can achieve 10%-100% no-gap speed changing, choose a file according to players . •Transmitter can be switched to left /right throttle . •With high strength plastic material, it has strong ability to anti fall. 3.7V 400mah 30C Original Battery..
JJRC H31 Waterproof Resistance to..
JJRC H16 2pcs Black / Blue Landing..